Want to register a company in Singapore? 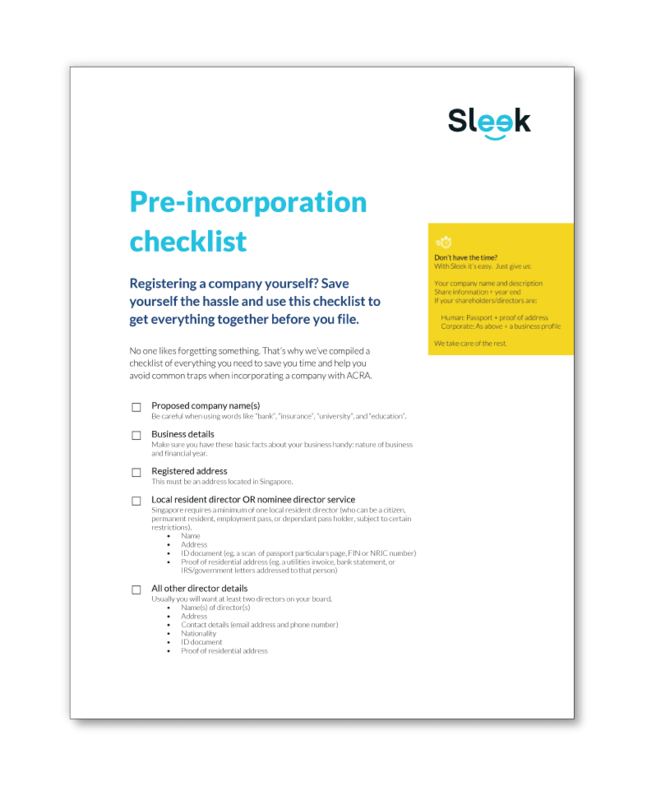 Use our checklist to ensure you have everything you need before you start the incorporation process. Company name, registered address, passports and proof of address - we give you the full list so your incorporation process is seamless. Don't want outside assistance? We tell you how to DIY your registration process and what you need from ACRA to incorporate your company. Understand what the process is before you register your company in Singapore. Start your next business with help from our incorporation and compliance experts.